In November 1788, George III became mentally unstable, precipitating the Regency crisis. But just as George, Prince of Wales, was about to take power as Regent, the King recovered. However, the King was not completely better. 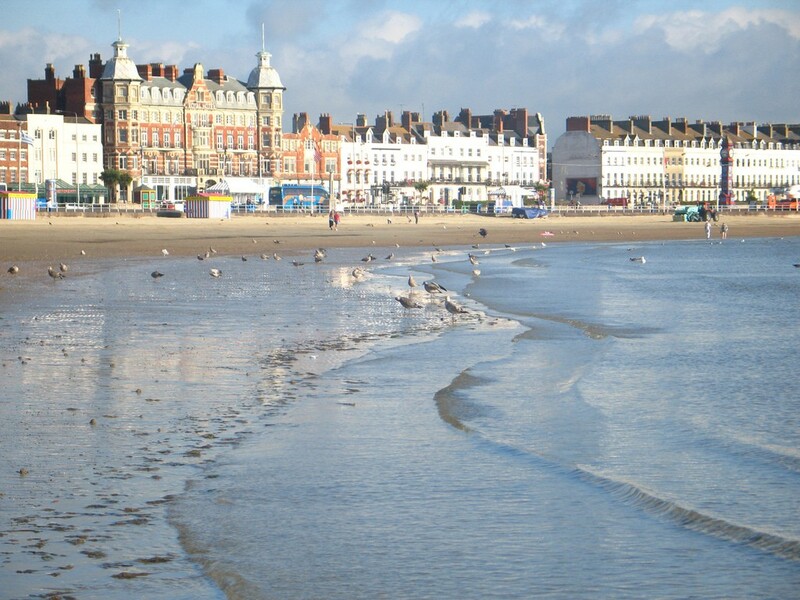 Dr Crane, author of “Cursory Observations on Sea-Bathing”, advocated the benefits of sea air, sea bathing and even seawater drinking as a cure for a wide variety of ailments and was quick to recommend his home town of Weymouth as the best place for the King to convalesce. 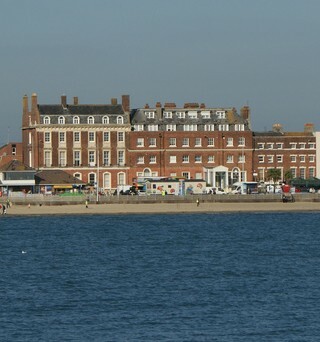 The Duke of Gloucester owned a house in Weymouth and offered to lend this to his brother for his seaside holiday. Gloucester House or Lodge (1) was a modest red brick house built sideways onto the Esplanade with a sizeable garden called the Shrubbery. However, it was not big enough to accommodate the Royal party comfortably, and the gentlemen were forced to stay in neighbouring buildings. The King, together with the Queen and his four oldest daughters, arrived in Weymouth at the end of June 1789 to a tremendous welcome. The words “God Save the King” could be seen everywhere –on caps, on windows and even on bathing assistants’ waistbands. The anthem was played often, sometimes in the most unlikely places. On one occasion, a band hid in a neighbouring bathing machine and struck up the anthem when the King went to bathe in the sea. The people were delighted that the King had recovered and had come to be amongst them and they were determined to let him know. The visit was a big success. The Queen declared that the King was “much better and stronger for the sea bathing”. 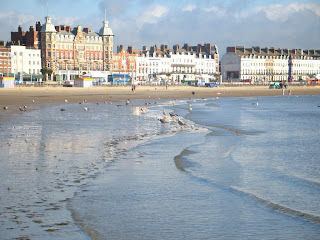 Life in Weymouth exactly suited the King and he came back in 1791 and then every year until 1805 except 1793 and 1803. The King’s routine varied little from day to day. 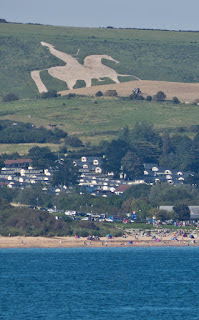 He usually rose early and bathed in the sea and then spent time riding, walking and sailing. The King was able to forgo many of the restrictions imposed on his freedom in London. In Weymouth, he was able to walk about freely and talk to his subjects, reportedly ending his sentences with the refrain: “What? What?” He particularly liked to talk to local landowners about agriculture, gaining him the nickname “Farmer George”. The King enjoyed going to the theatre where he was perfectly happy with the mediocre entertainments provided. 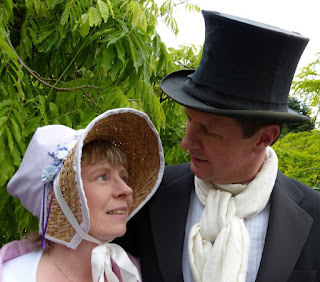 Fanny Burney, one of the King’s party in 1789, was not impressed with these shows, describing them as “in the barn style” – a mere medley of songs, dances and imitations. Sometimes the theatre managed to secure famous actors, such as Mrs Siddons and John Quick to perform for the King. The Royal family visited the Assembly Rooms, where balls were held twice a week. Here they could attend in a private room, cordoned off from the public, but not hidden from them. The King liked to visit the local landowners. In 1789 he visited Mr Damer at Came House, the Welds at Lulworth Castle and Sherborne Castle, the home of Stephen Digby, one of the King’s equerries. George loved to sail and frequently went on cruises aboard the warship Southampton often visiting the Isle of Portland. As the war with France progressed, an increasing number of army camps sprang up around Weymouth to guard against the threat of invasion. From 1804, these troops were augmented by men from the German Legion. The King regularly attended military reviews of these troops. 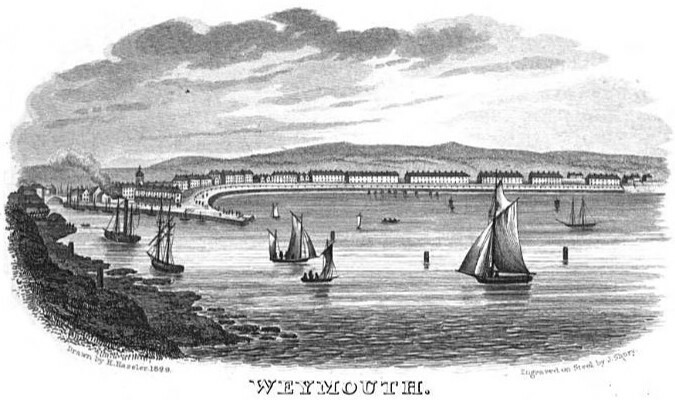 On 4 October 1805, George III left Weymouth for the last time. But the King was not forgotten. 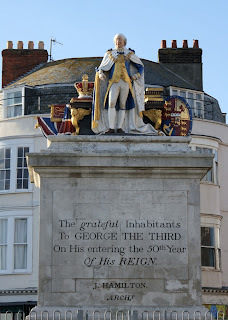 Two lasting monuments to Weymouth’s Royal visitor remain. 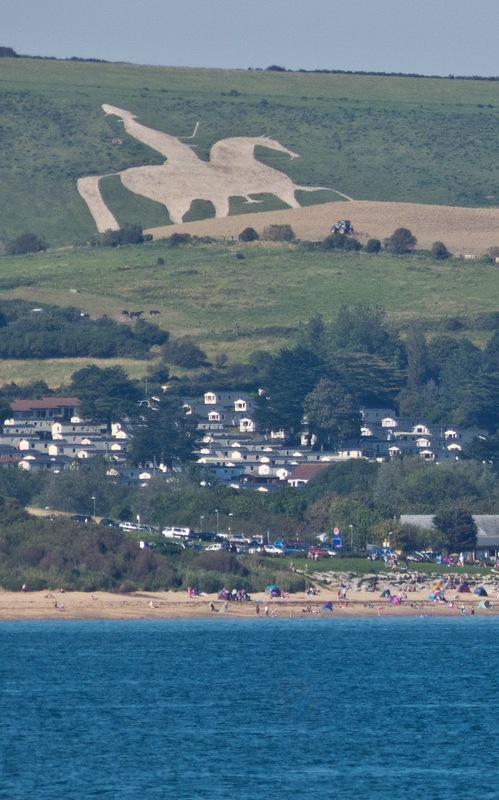 The first is the Osmington white horse - a carving of George III on horseback in the hillside at Osmington, overlooking Weymouth bay. It is thought that this was carved in 1808. The second is the King’s Statue - a statue of George III in his coronation robes on Weymouth seafront. 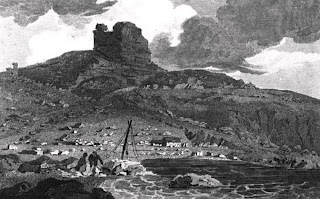 The foundation stone was laid at the end of the Esplanade in 1809 and unveiled the following year. 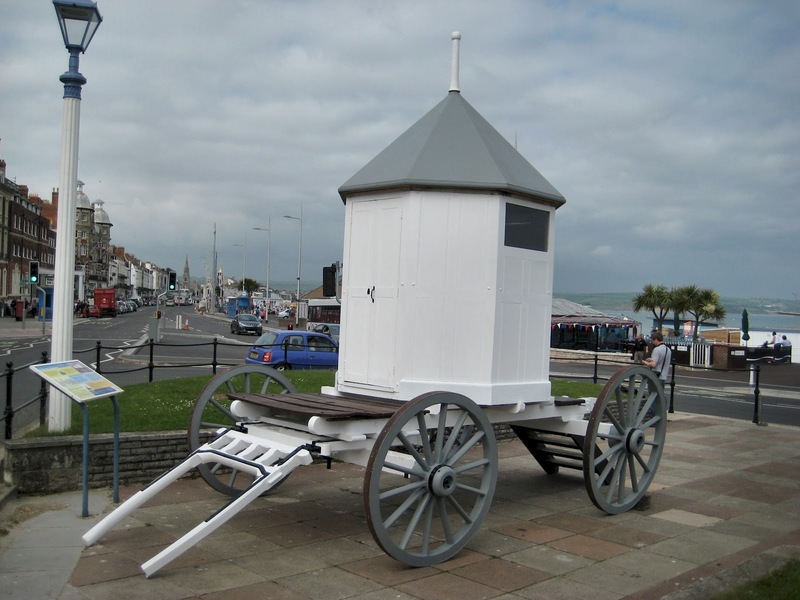 It has been painted in heraldic colours since 1949 and remains a popular landmark today, with a replica of George’s bathing machine in the gardens below it. (1) Fanny Burney refers to the Duke of Gloucester's house as Gloucester House in her diaries; others refer to it as Gloucester Lodge. For an audio visual presentation about George III in Weymouth see George's seaside adventure. 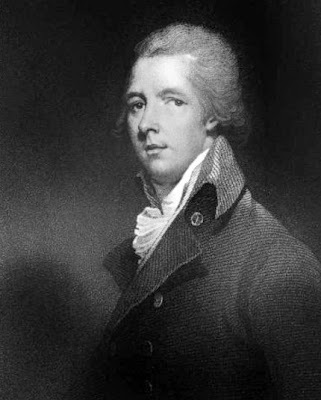 William Pitt (28 May 1759 - 23 January 1806) was a Tory MP who served as First Lord of the Treasury, effectively prime minister, from 19 December 1783 to 14 March 1801 and again from 10 May 1804 until his death in 1806. He first took on this role aged 24 years and 205 days (1) making him the youngest prime minister to date. William Pitt was born in Kent on 28 May 1759, the second son of William Pitt, Earl of Chatham, and Lady Hester Granville. He was designated 'Pitt the Younger' to distinguish him from his father who had also served as First Lord of the Treasury. From an early age, he demonstrated a very keen, able mind and a determination to follow in his father’s footsteps in parliament. He suffered from frequent bouts of ill health, for which he was prescribed port wine, and so was educated at home by the Reverend Edward Wilson. 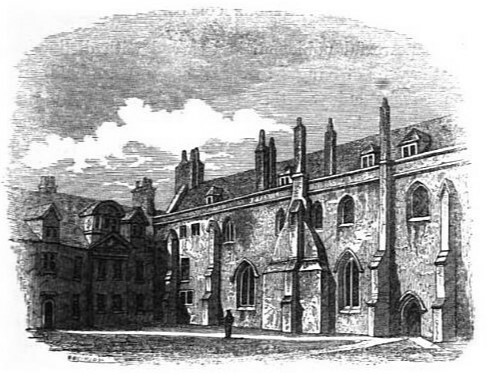 He went up to Pembroke College, Cambridge, in April 1773, at the early age of 14. At Cambridge, he pursued his love of the classics and mathematics and developed his debating skills. He socialised little outside the university grounds, where he had a small group of friends including his tutor, George Pretyman, and William Wilberforce. Because of his ill health, he used his right as the son of a nobleman to graduate without taking exams. He continued to reside at the college until financial necessity forced him to take up a profession after the death of his father. 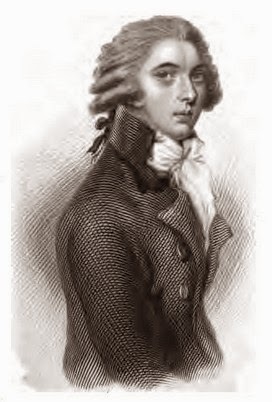 In 1780, Pitt was called to the bar and joined the western circuit as a barrister. He witnessed the Gordon Riots from his rooms in Lincolns Inn. 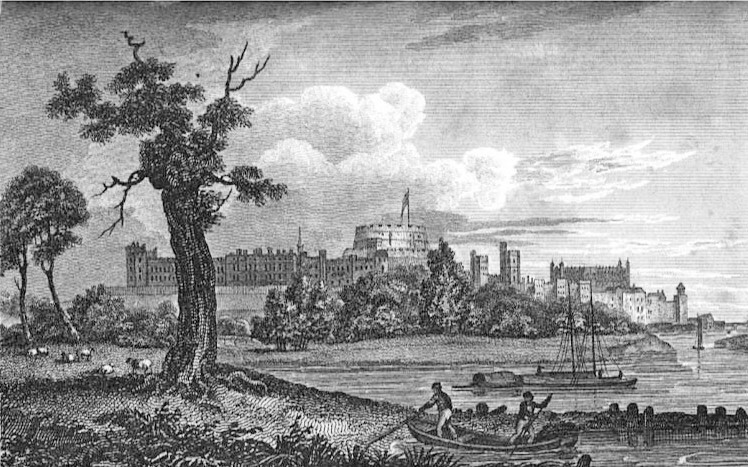 In the general election of 1780, Pitt stood as a candidate for Cambridge University but was returned at the bottom of the poll. However, in a by-election the following January, he was elected to the borough of Appleby through the influence of the Duke of Rutland. 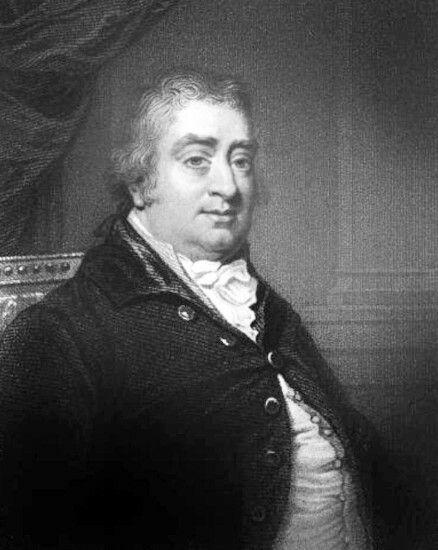 On 26 February 1781, Pitt gave his maiden speech in the House of Commons. According to Debrett, his voice was “rich and striking, full of melody and force; his manner easy and elegant; his language beautiful and luxuriant. He gave in this first essay, a specimen of eloquence, not unworthy the son of his immortal parent” (2). Pitt became Chancellor of the Exchequer under Shelburne but declined to take over the government when Shelburne’s ministry failed. 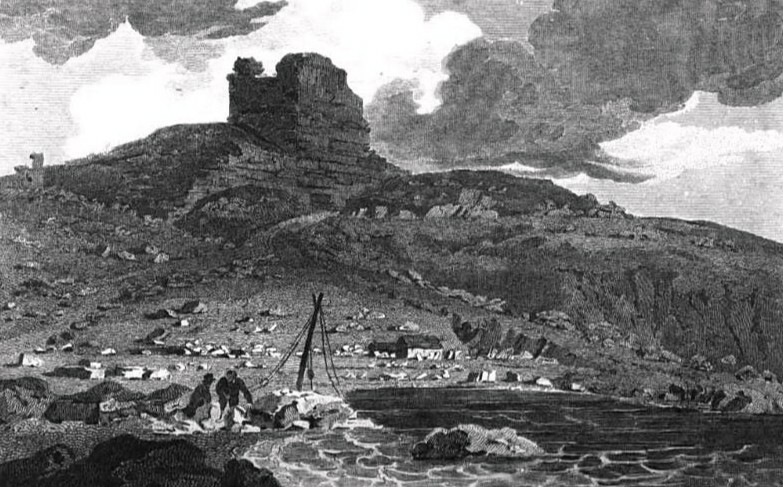 The King was forced to ask the Duke of Portland to form a government, backed by a coalition of Fox and North. Pitt became a member of the opposition, but when the King vehemently opposed the proposed reforms of the East India Company and declared that any who voted in favour would be counted his enemies, his moment had come. The government collapsed and the King offered the leadership to Pitt who was now ready to accept it. 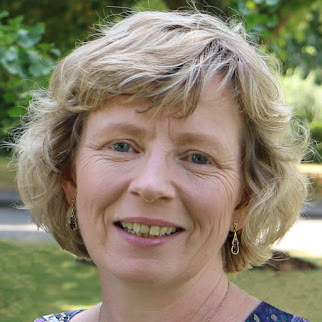 In the general election that soon followed, Pitt was elected member for the University of Cambridge and obtained a significant majority. During Pitt's ministry he took steps to reduce the national debt, reformed the administration of the East India Company and the collection of excise duties, introduced the first income tax and supported the abolition of slavery. Pitt’s leadership was threatened by the Regency crisis of 1788 when it looked like the Prince of Wales would be made Regent and his friend Fox would come into power, but the King recovered. After the French Revolution, there was the threat of rebellion in Ireland and renewed war with France. Pitt saw the Act of Union as the solution to the Irish problem, but when he proposed to allow Irish Catholics into Parliament, the King was outraged and on 3 February 1801, Pitt resigned, returning the seals of office on 14 March, and Henry Addington took over. When Addington resigned in April 1804, Pitt was again asked to form a government. Pitt wanted to include Fox and Grenville in his cabinet, but the King refused to accept Fox, and Grenville refused to serve without him, and so Pitt was forced to manage without either of these talented men. Pitt struggled continually to hold the government together under the strains of war and the impeachment of the corrupt Lord Melville. Pitt was a man with few vices. Lord Macaulay wrote: “The correctness of his private life added much to the dignity of his public character.”(3) He drank port heavily, but was rarely drunk. He had a strong inclination towards gambling, but had the prudence and resolution of character to prevent his taste for play from becoming a habit. Though unmarried, he did not keep a mistress. His niece Hester Lucy Stanhope lived with him for the last three years of his life. Only once did Pitt consider marriage – to Eleanor Eden, eldest daughter of Lord Auckland – but whilst expressing great affection for her in a letter to her father, he stated that circumstances made marriage impossible. There was some speculation that he was homosexual, but his lack of involvement with women may simply have resulted from shyness coupled with ill health and a busy life committed to politics. Pitt had few friends but in the small circle of his intimate associations, he was amicable, affectionate, even playful. He frequently stayed at Wilberforce's house in Wimbledon and accompanied him to the continent in the summer of 1783. He did not patronise the arts and rarely went into society, especially after the outbreak of war in 1793. He spent time at his home in Holwood, Kent, where he enjoyed improving the grounds and farming sheep and also at Walmer Castle, which he had held as warden of the Cinque Ports since 1792. Although neither a gambler nor a family man, Pitt was extravagant and somewhat careless with the generous income that he received whilst in power. By the time he died, he had amassed debts of £40,000, which the House of Commons obligingly voted money to satisfy. The strain of government took its toll on Pitt’s health. 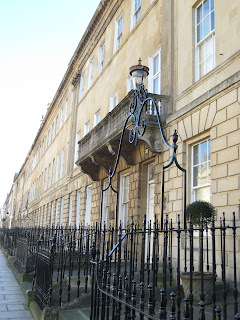 He visited Bath in December 1805 but was no better when he returned to his villa in Putney in January. 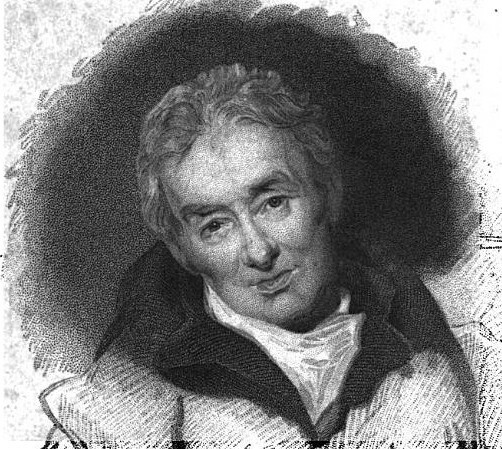 Pitt died on 23 January 1806. He was given a state funeral on 22 February and buried in Westminster Abbey near his father. (1) From the Gov.uk website (see link below). (2) From The Parliamentary Register or History of the Proceedings and Debates of the House of Commons - 26 February 1781 - edited by Debrett. George IV died at Windsor on 26 June 1830. He had ruled as Regent for nine years and King for ten. 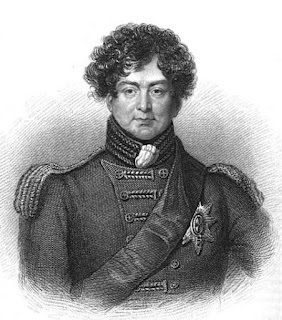 His father’s ill health had led him to anticipate coming to the throne for most of his adult life, but in the event, he did not become King until 1820 at the age of 57. By the time he succeeded George III, he was already suffering the effects of years of overindulgence. George’s body was placed in a coffin of Spanish mahogany lined with white satin, which was then placed in a leaden coffin bearing his details on an engraved silver plate. 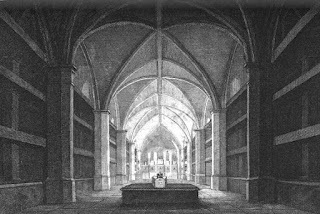 His body was prepared for the lying in state under the superintendence of a Mr Marsh and the coffin was placed in the King’s drawing room, under a rich, purple canopy. The body lay in state for two days where it was viewed by the public, all dressed in decent mourning. The funeral took place on Thursday, 15 July. During the day, guns were fired regularly in mourning but the town of Windsor was bustling with the large numbers of people who had descended on it for the funeral and in Huish’s opinion “the group resembled more the characters of a masquerade, than spectators hastening to a funeral”. 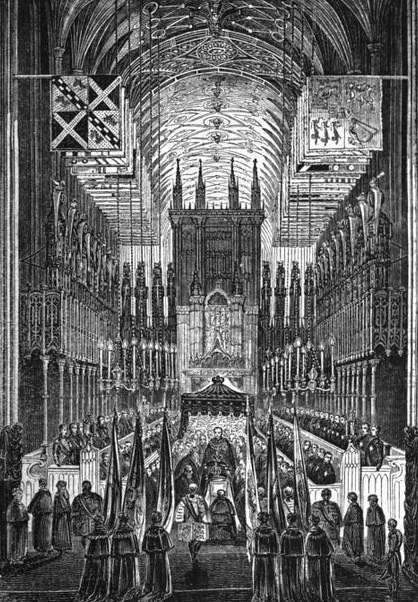 The funeral procession set out at about half past eight to the sound of the King’s band playing “The Dead March in Saul”, with William IV as chief mourner, followed by his royal relatives, the Dukes of Sussex, Cumberland and Gloucester, and Prince Leopold. The Duke of Wellington bore the sword of state. The soldiers held flambeaux in the failing light which La Belle Assemblée noted “presented a striking yet a solemn effect”. The funeral service was read in St George’s Chapel by the Dean of Windsor. It has been suggested that William was so excited about becoming King that he did not behave with decorum at the funeral; reports would certainly suggest that there was considerable noise that did not accord with the solemnity of the occasion. 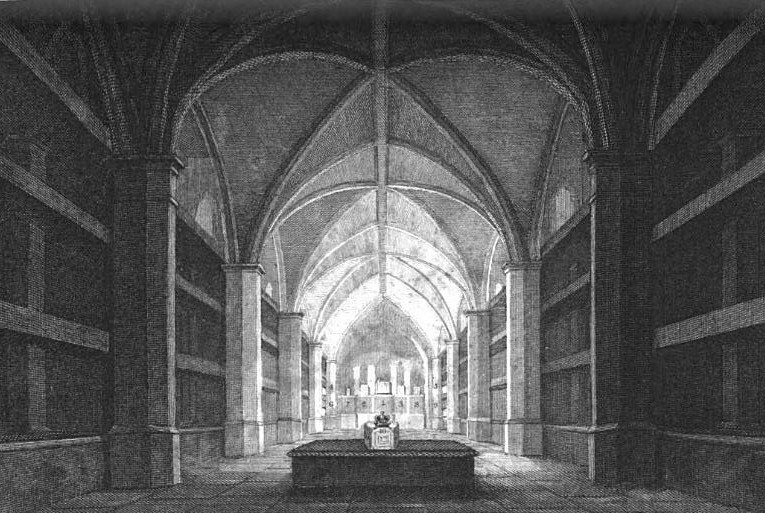 The coffin was lowered into the passage leading to the royal vault at about half past ten. The ceremony was finished by Sir George Nayler proclaiming the style and titles of the late King, ending with the words, “God save King William IV.” A rocket was then let off and the band played God save the King. Hannah More (2 February 1745 - 7 September 1833) was a bluestocking writer whose moral works were highly influential in her time. She was an evangelical Christian and friend of William Wilberforce and supported the anti-slavery campaign. 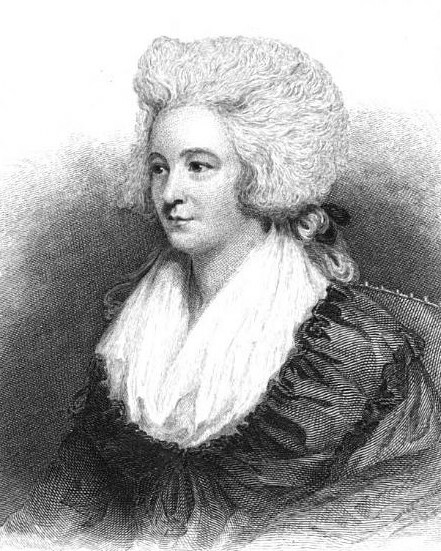 Hannah More was born on 2 February 1745 in Stapleton, Gloucestershire. She was the fourth daughter of Jacob More, a Norfolk gentleman who was superintendent of a grammar school in Stapleton. Hannah and her four sisters were educated at home by their parents. From an early age, Hannah displayed an aptitude for learning that was encouraged by her father who taught her classics and mathematics. She scribbled down stories and verses on scraps of paper as soon as she could write and read them aloud to amuse her youngest sister, Patty. More intended his daughters to run their own school and, with this in mind, he sent his eldest daughter to a French school in Bristol. Every week, Mary taught her sisters what she had learnt. 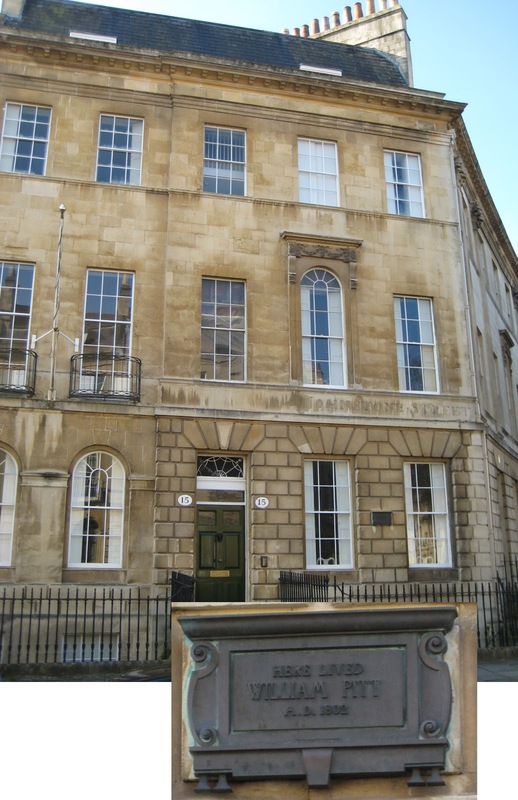 The eldest sisters opened a boarding school in Bristol when Hannah was twelve and she was able to benefit from the visiting masters in modern languages and Latin, although her father prevented her from pursuing mathematics further as he did not approve of women’s learning in this field. When she was old enough, Hannah became a teacher at the school. Hannah’s first serious work, a pastoral drama expressing her views on women’s education called The Search after Happiness, was published in Bristol in 1762 and performed at the school. In 1767, Hannah received the addresses of William Turner, a man of integrity and fortune, twenty years her senior. Hannah accepted his proposal, but Turner kept on putting off their wedding until, at last, the engagement was broken off by mutual agreement. Turner was anxious to make reparation for Hannah’s disappointed prospects and offered to pay her an annuity in compensation. Although initially she refused, Hannah was eventually persuaded to accept an annuity of £200 through a trust and Turner left her £1000 in his will. In 1773, Hannah went to London, where she was introduced to the Garricks, Elizabeth Montagu, Joshua Reynolds, Dr Johnson and the politician Edmund Burke, through the recommendation of her friend and theological mentor, Reverend James Stonhouse. When she visited London again in 1775, she was invited to Elizabeth Montagu’s house for a literary gathering – a bluestocking party. 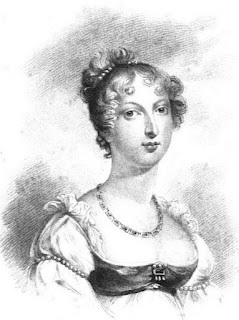 Her reputation was quickly established and she formed lasting friendships with a number of the bluestocking circle, Dr Johnson, Elizabeth Montagu, Frances Boscawen, Hester Chapone, Elizabeth Carter and Elizabeth Vesey. Hannah’s poem, The Bas Bleu or Conversation was written in 1782, in praise of good conversation and she was depicted as one of the nine living muses in a group portrait by Richard Samuel in 1778. Hannah’s financial independence enabled her to devote her time to writing. 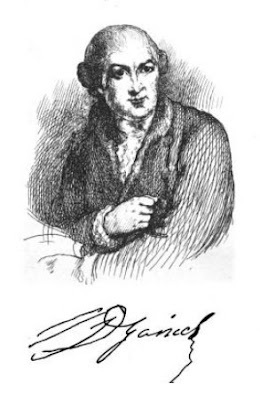 Encouraged by her close friend Garrick, she wrote two plays, The Inflexible Captive (1775) and a tragedy, Percy (1777), both of which were received with much acclaim. A third play, The Fatal Falsehood (1779), however, was a dismal failure, and this, coupled with the death of Garrick, led to a change in direction in her writings. After Garrick’s death, Hannah became increasingly evangelical in her outlook, influenced by her friends, Lady Middleton and Bishop Porteus. She wrote Sacred Dramas in 1782 and then, in 1788, issued Thoughts on the Importance of the Manners of the Great to General Society anonymously. The book dwelt on the need to reform the rich in order to help the poor. Some thought that it was written by her evangelical friend, Wilberforce. Both the Importance of Manners and its sequel, An Estimate of the Religion of the Fashionable World, were enthusiastically received by the very people that they criticised. Hannah supported and encouraged Wilberforce in both his campaign for moral regeneration and his anti-slavery campaign. She wrote a large number of moral and anti-revolutionary tracts including Village Politics and Cheap Repository Tracts, and a novel, Cœlebs in Search of a Wife (1808). She also wrote Strictures on Female Education (1799) and Hints towards Forming the Character of a Young Princess (1805), which the Bishop of Exeter gave to the King and Queen and the Prince and Princess of Wales. Hannah’s life was not without controversy. In 1784, she sought to promote the work of a milk woman whom she had discovered to have literary abilities. In an attempt to save her from squandering her new-found wealth, the principal was invested; the woman grew bitter and caused Hannah considerable grief before forced to hand the matter over to her solicitor. Later, having retired from the management of the Bristol school, Hannah lived in Bath and at her home, Cowslip Green, near Bristol. The poverty she witnessed in the surrounding area prompted her to establish a school for the poor. But not without opposition from the farmers who did not want an educated workforce and the curate of Blagdon who sought to discredit the Cheddar school. 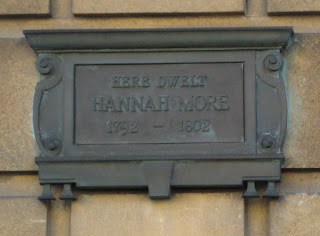 Hannah More was a woman of great influence. She was friends with Mrs Delaney and with Lady de Clifford and Lady Charlotte Finch, governesses to the royal family. She visited the Duchess of Gloucester and Hannah's work was much admired by her children, Prince William and Princess Sophia. She corresponded with Horace Walpole and the ex-slave trader John Newton and was close friends with William Wilberforce, dubbing his Clapham home, Noah’s Ark. Through her writings, which were immensely popular, she was able to exert an influence for good on the rich and poor alike. Hannah More’s health was never robust and she had to endure the sadness of all her beloved sisters dying before her. 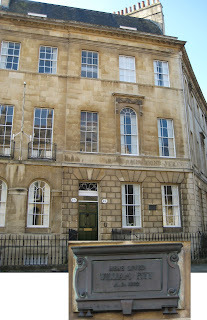 In 1828 she moved to Clifton, Bristol, where she died on 7 September 1833, aged 88 years.